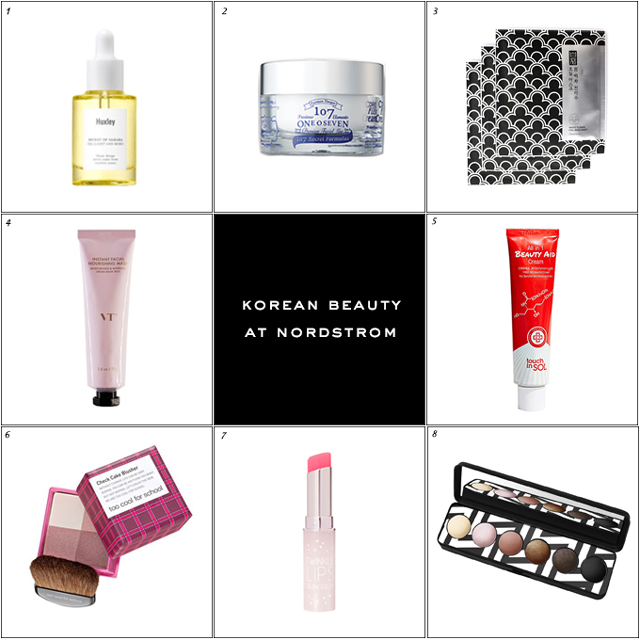 It's no secret that I'm a big fan of all things Korean beauty. It's a segment that's been at the forefront of the international beauty industry for a number of years now. We have K-Beauty to thank for cutting edge innovations like BB cream, cushion foundation, sleeping packs and sheet masks, just to name a few. As the K-Beauty industry which is worth $18 billion worldwide, continues to expand, it means that it will keep becoming more readily accessible. 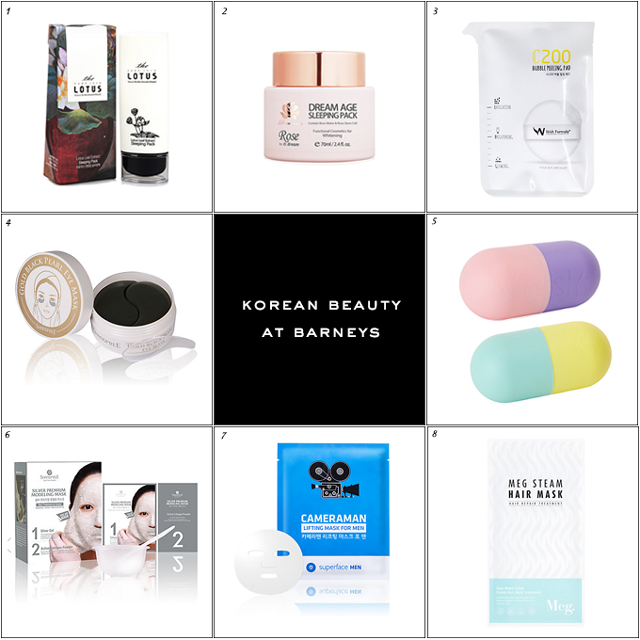 K-Beauty is currently have a moment stateside as shops like Glow Recipe and Peach & Lily are popping up on their own as well as collaborating with popular retailers like Nordstrom, Barneys New York and Target. 3. Wish Formula C200 Bubble Peeling Pad ($7) I've used this and it's such a fun way to exfoliate! 2. Lagom Cellup Gel to Water Cleanser ($17) I use this and I'll be spilling on why I love it on Monday! 4. Twenty Four Seven Touch Up Skin-Perfecting Cream ($22) A personal favorite! 5. Twenty Four Seven Honey Dual Lip Treatment Oil & Color Tint Balm ($29) Another personal favorite! 6. Caolion Pore Cleansing Blackhead Steam Pack ($23) Better than GlamGlow and costs way less too! 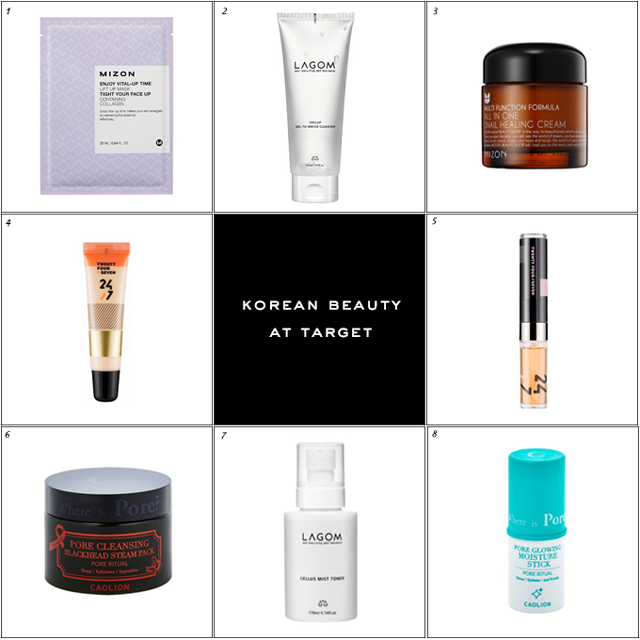 Though not part of the collection, Target also carries selections from popular KBeauty brands Missha and Laneige. And what's more Sephora has carryied a number of Korean beauty products for some time now. I think it's just a matter of time that K-Beauty conquers the world. If you're in the tri-state area, Glow Recipe actually has their own NYC pop-up shop. It's located at 452 West Broadway in Soho. They'll be there through the end of March and there are exciting classes and events happening all the time so be sure to follow their Facebook page. Have any of these products caught your eye? This post contains affiliate or referral links. For more details about affiliate links, please refer to the Policies page of this blog. Now if only Germany would have the same variety of places to shop. Douglas have a few selected bits, but other than that it is online shopping only. Great information to find Korean Products I also saw a section in Ulta. Very informative and lots of products I'd like to try. It really makes me happy to hear that K-beauty is now easier to find more than ever. The products coming from SK really are way ahead of the time. If you didn't get me into K-drama, I wouldn't have even thought of trying Kbeauty items and would have totally missed out, Rowena, so "gomapseumnida"! Have a great (and hopefully warm-ish) weekend, chingu! The Art Deko design of the packaging #3 looks amazing. Thx for all the info, Rowena. Happy St. Patrick's Day. I am glad that Sephora carries a few K-beauty brands now because I mainly shop there. I've also been discovering a few local Canadian online sites that carries amazing range of K-beauty brands, not so good for my wallet but good for the skin. LOL! Thanks for sharing dear. I didn't know that K beauty industry is behind the invention of BB cream, cushion foundation and sheet masks. I can say that I learn something today. I did know that it is a big industry. I know quite a few girls who order their products and they're always saying how it is great that this industry is more focused on skin care as opposed to make up products...and I do agree with them...and I think you said so yourself a few times. It is better to invest in products that make our skin look better and more healthy, then spend money on products that mask imperfections...sometimes those are needed too, but on overall it is good to be focused on skin health. Anyway, great selection. Very informative! Thanks for sharing! Really interesting, I would like to try them all! I haven't really experimented with Korean beauty yet, though various blogs have certainly sparked an interest (yours included, Rowena!). I need to check my Target to see if they have any of these! I love Korean beauty products, they do wonders for my skin. I want to try the foil sheet mask, I've never used a foil mask before, sounds adventurous. Oh wow didn't know about these pop ups. Birch Box has a K-Beauty section, it looks so fun. And that sleeping mask looks wonderful. I need a night cream and a serum. Almost with all the things I have been gifted so I will have to look this up. It's so great to see K Beauty in more places now! I'm glad Target and Amazon are carrying more brands! So glad it's easier to find now!!! Oh very interesting products darling! Wow, so many interesting products. I am so attracted to Korean skincare and makeup. I would love to have that eyeshadow palette! Pretty! Wow great range of products and thank you for this directory Rowena. I'm sure these are topnotch. Didn't know the Korean beauty was worth that much. That's very impressive.